Visiting Cozumel for the sun, beaches and deep sea diving does not mean you should overlook the historic archeology finds which it is also known for. From 0 A.D. through 800 A.D., the Island of Cozumel was considered a sacred island and during pre Hispanic times Mayan women canoed across from the mainland to worship the goddess of fertility. 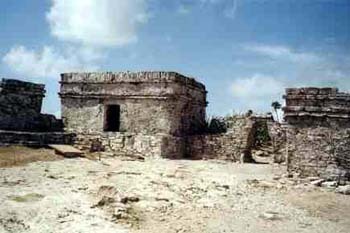 There are some 25 such historic Mayan ruins sites on Cozumel. Some have been restored to previous conditions of World War II. Probably the oldest and largest of the Mayan ruins on Cozumel is also one of the easiest to reach. It is located about two miles from the main highway. El Cedral was originally used for major ceremonies. There is a modern church on the site which is decorated with folk art. Today this is a farming settlement which was used as a jail back in the 1800s. At the end of a dirt road in the center of the island are the most frequented ruins of San Gervasio. This is the site where 50 skeletons were discovered in one grave. There are three groups of structures of shrines centered around the Goddess of Fertility. Each of the ruins are clearly marked and there are plagues in English, Spanish and Maya. 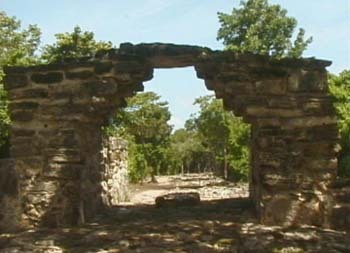 San Gervasio was once the capital of Cozumel and the center of worship. There are gift shops or stands and cold drinks available. In what was the first luxury hotel on the island, now houses their museum. This should be your first stop before visiting the actual Mayan ruins. Here you can get pamphlets and information on the ruins. There is a restaurant on the second floor terrace. There are also exhibits covering the history during Colonial times displaying cannons and maritime articles. The pre Hispanic history of the island is thoroughly explained and well worth the trip. 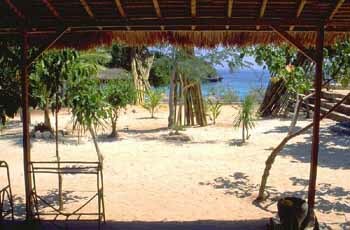 In Maya, Chankanaab means "little sea" and this is the original home of "Swim with the Dolphins". Botanical gardens surround the park and the saltwater lagoon. 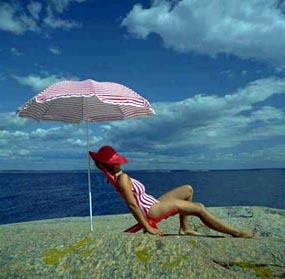 Swimming in the lagoon is no longer permitted. The gardens contain some 352 species of plants and the lagoon contains more than 60 species of marinelife. There are gift shops, a restaurant specializing in fresh seafood dishes, fresh water showers, dressing rooms and snorkel/dive gear rentals. This is the perfect setting for a full day on the beach.